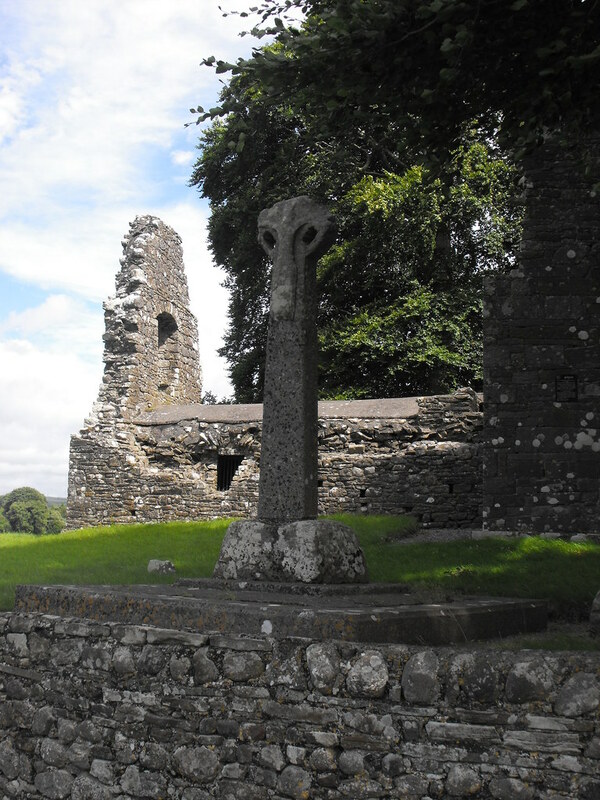 The Standing Stone: Monaincha Abbey and High Cross, Co. Tipperary. 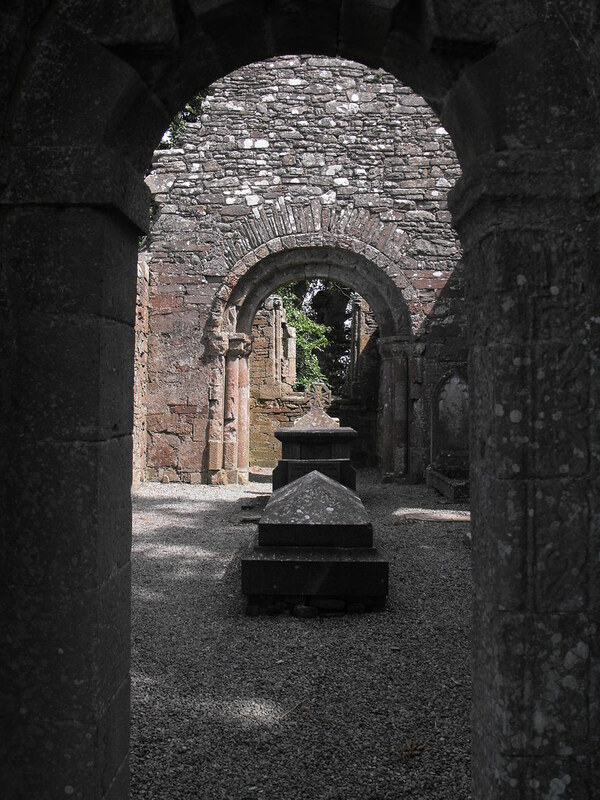 Monaincha Abbey and High Cross, Co. Tipperary. 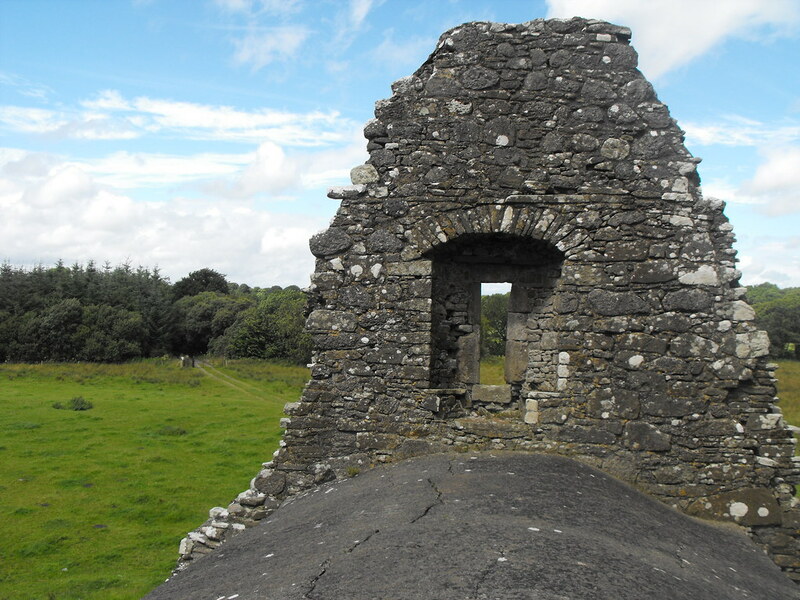 Location – About 2 miles from Roscrea, just off the N7. It is signposted. Description and History – This site has been described by local people as ‘Tipperary’s best kept secret’ and it is hard not to see why. This site seems to have been forgotten by the modern world and exists in pure solitude in an idyllic setting. Following an old track you turn a corner and are presented with the abbey raised on its own little island in a sizable field. 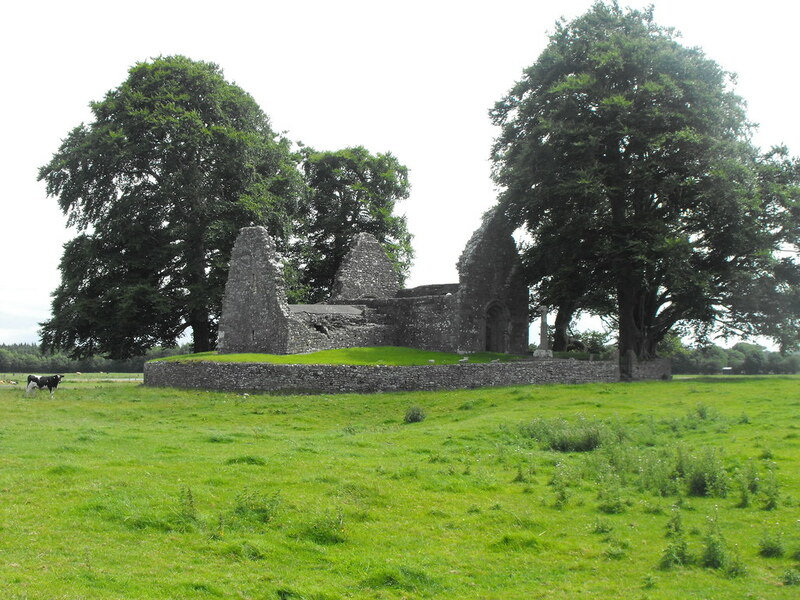 The abbey was originally located in the now drained Lough Cre which must have made it even more of an impressive sight as you approached it by boat. The island is called ‘Inis na mBeo’ which is translated as the ‘island of the living’. Legends surround the former Lough, including one which says that no women could ever set foot in the water or cross it without dying instantly – this was apparently put to the test with cats and dogs. Another legend surrounds the name of the island and says that it is impossible to die while on this island – when there you are immortal. 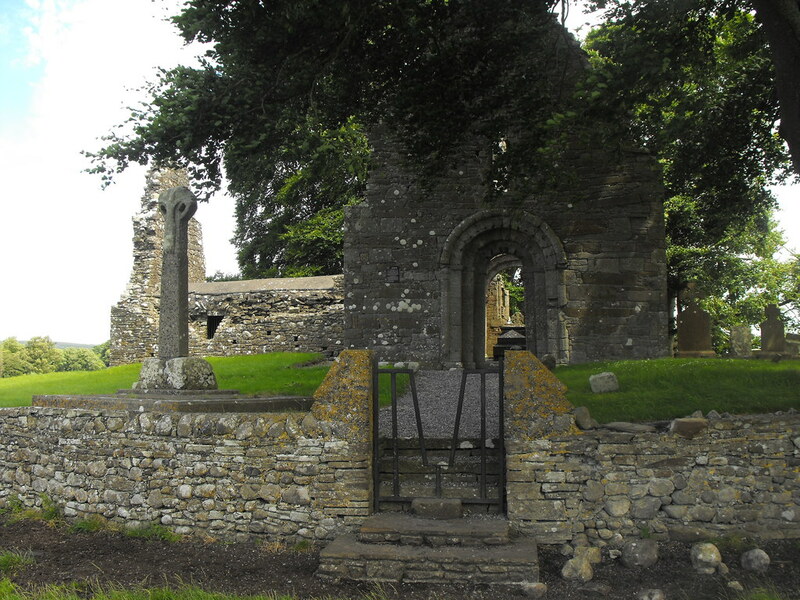 There was more than one island in the Lough and a second island had a smaller church on it which is now, unfortunately, destroyed. 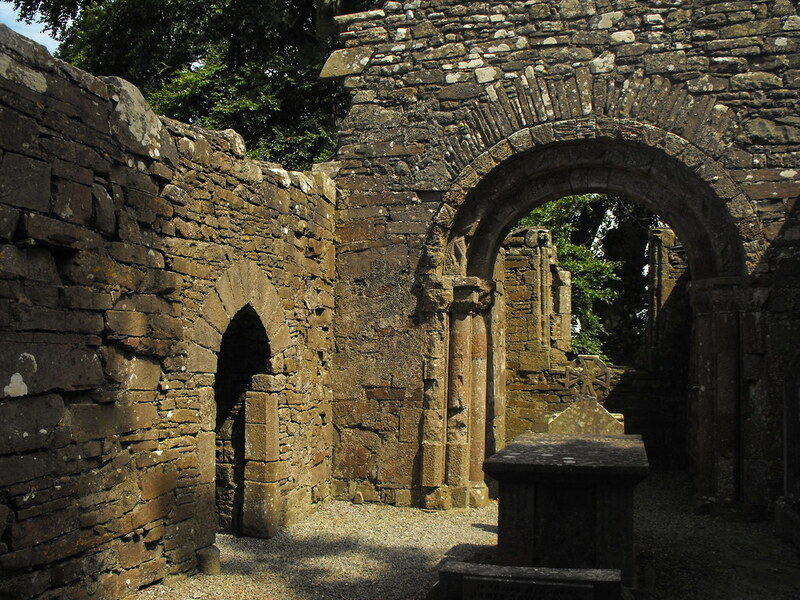 The Augustinians founded the present abbey in 1140 but there was another monastery at the site which was associated with Aghaboe abbey in the 6th century and later with St Cronan in the 7th century which is located in Roscrea town. Before the Augustinians arrived the site was dedicated to St Hilary but they changed this to its present dedication of St Mary. The Augustinians left the site in 1485 and little alterations to the site have been made leaving it in its current state. Some reconstruction has been done to the site in the 19th century which was carried out improperly. 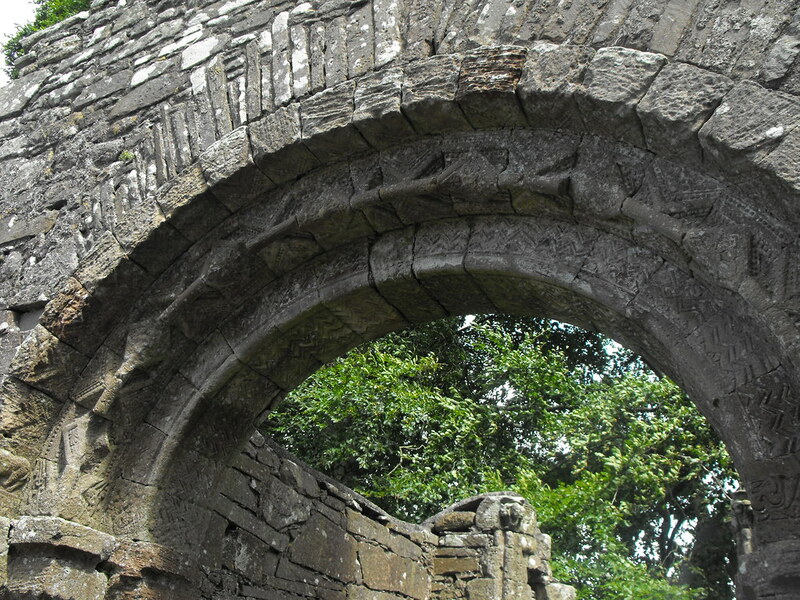 For example, the windows of the church have not been replace correctly, leaving them misaligned. 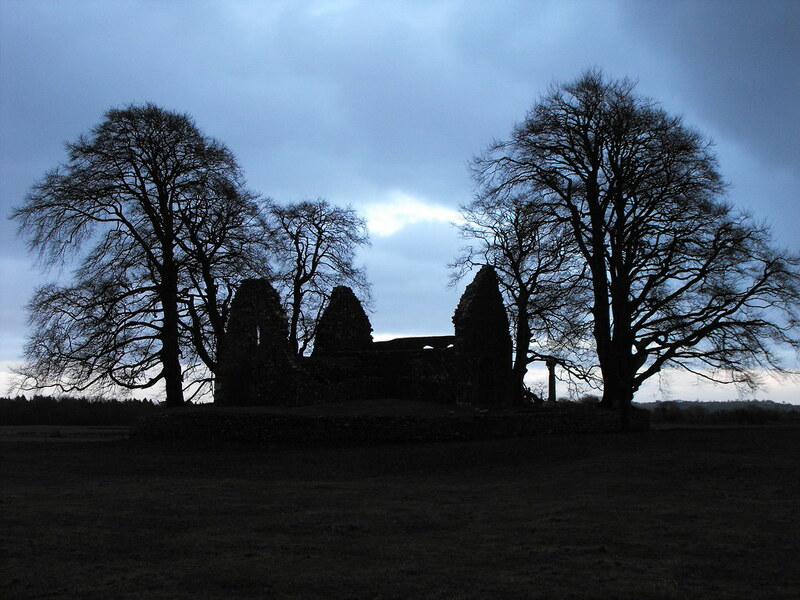 Church - As with all pre-modern churches the church is orientated E-W and consists of a small nave (approximately 12 metres in length and 7 metres wide) with a chancel (approx 3.5m square) and priests quarters (approx 8.5m x 6.5m). 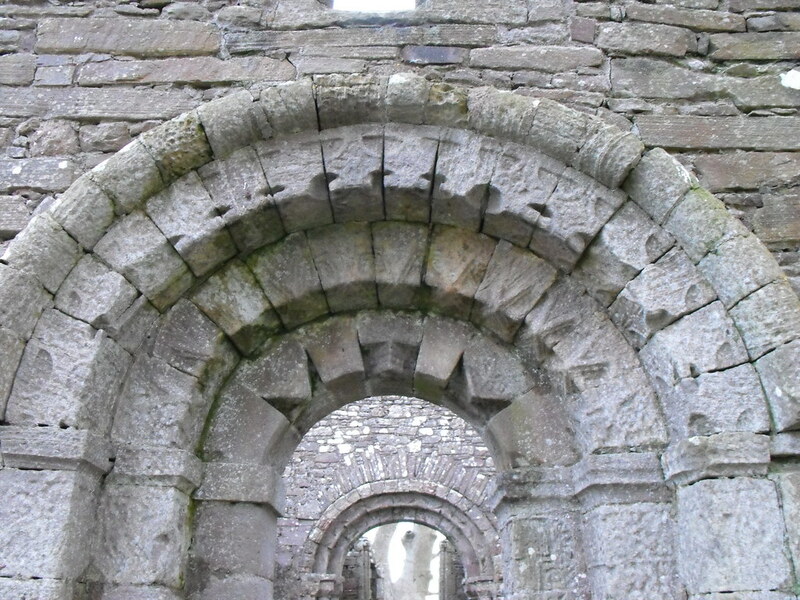 The entrance to the nave is through a decorated Romanesque doorway with chevron designs and scrollwork and roll-mouldings with decorated capitals. 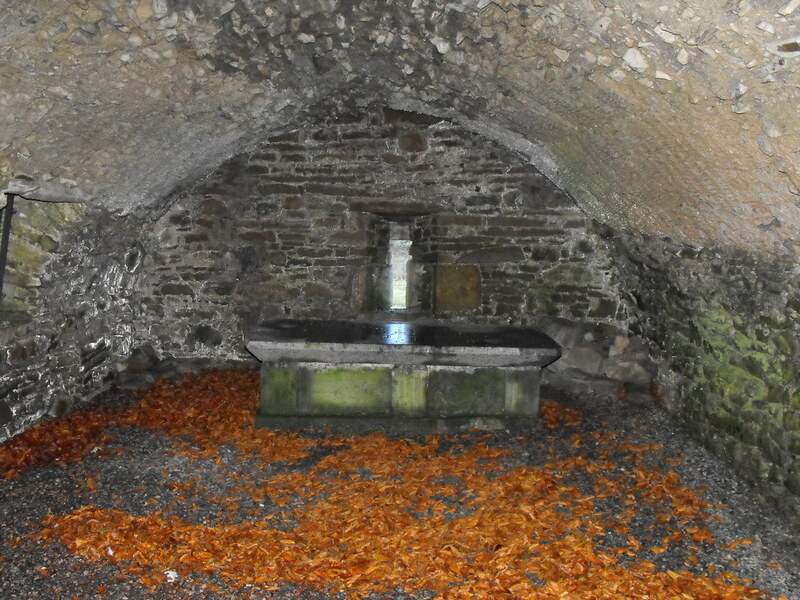 Many later, 17th, 18th, and 19th century graves are located in and around the church including a tomb in the priest’s chambers. 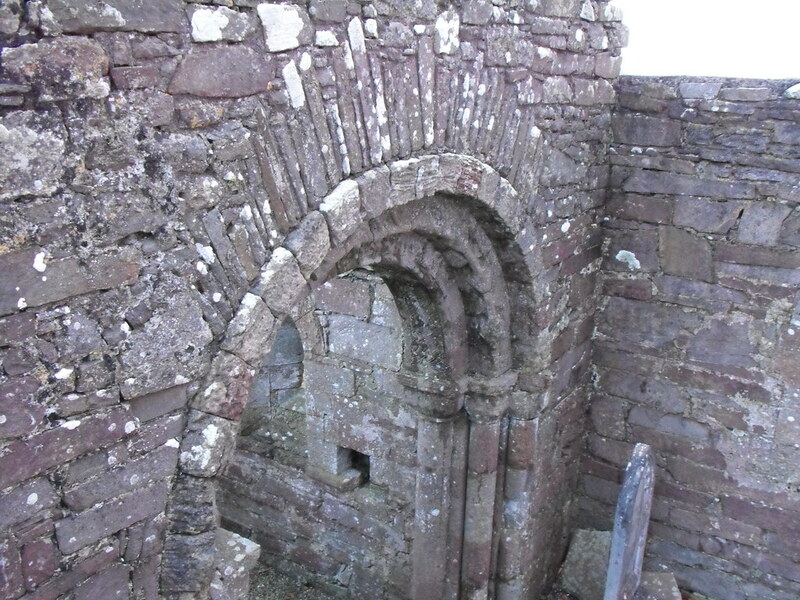 The priest’s chambers are well preserved on the ground level with an impressive barrel vault ceiling. 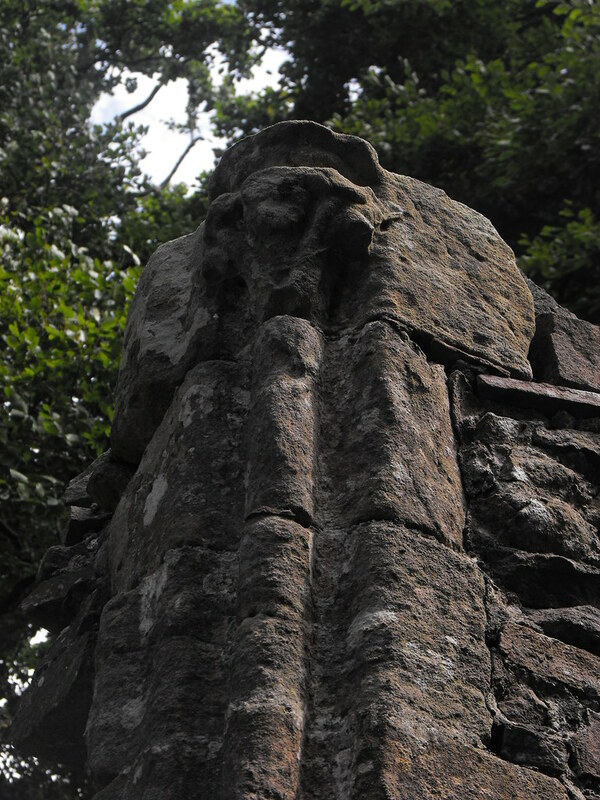 High Cross – Located 7m from the church on its E face. 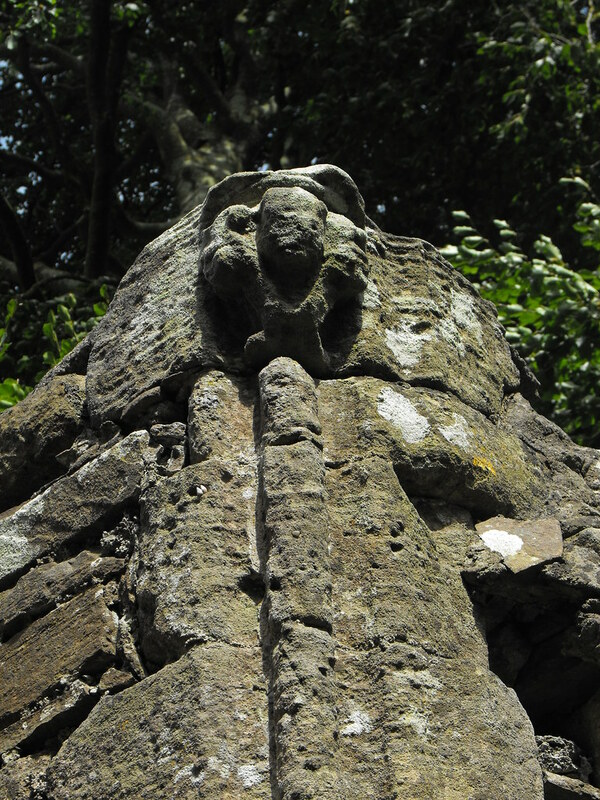 The original location of the cross at the site is unknown and was placed here in modern times. 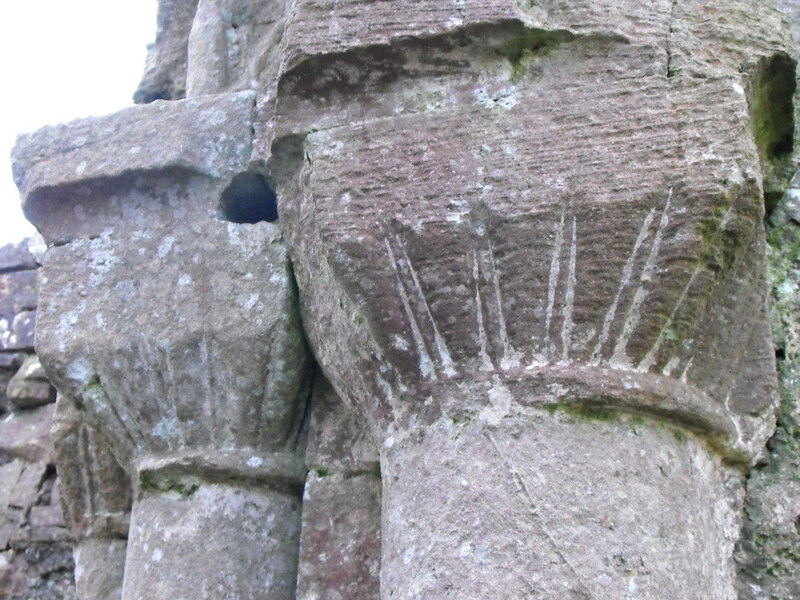 The shaft of the cross is missing and has been replaced with concrete. The head of the cross depicts Jesus being crucified on its W face – Jesus wears a long robe but his head and hands are missing. This is a truly beautiful site and has been visited for centuries as the graffiti on the trees (which must rival the church in age) shows. I will always have a soft spot for this place as this is where I asked my girlfriend to marry me...she said yes of course. 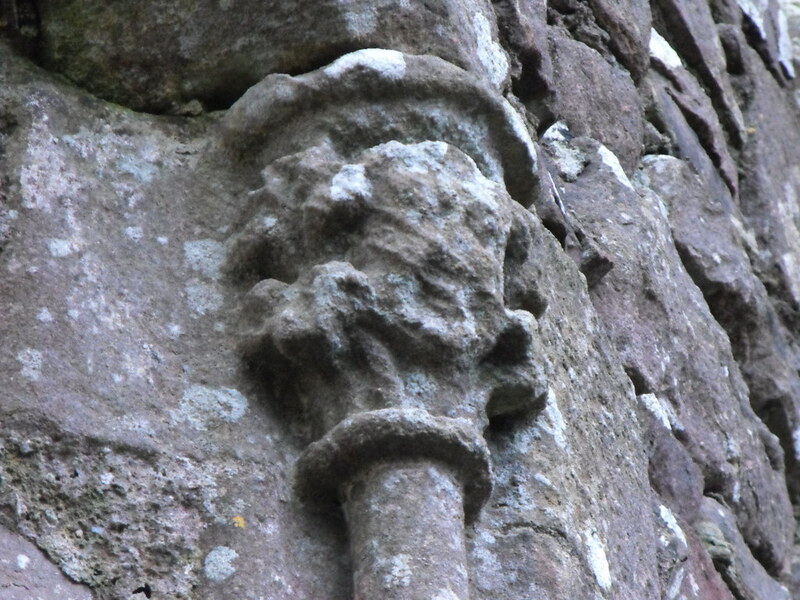 Difficulty – This site is very easy to get to and is signposted from the N7. I would recommend walking down the track that leads to the site rather that driving. A 4x4 would easily make the trip but there is little room to turn around at the end. Plus walking to the site is a nice experience. Lovely post and images Tom, great place to pop the question. Have been trying to add your blog to follow via G blogs (but cant find the link). Hi Tony, I removed the navbar at the top of the site. You can still follow but you have to add it manually. On your dashboard you can add a blog to follow and put in the URL. Very interesting article. I visited Monaincha Abbey in 1989.